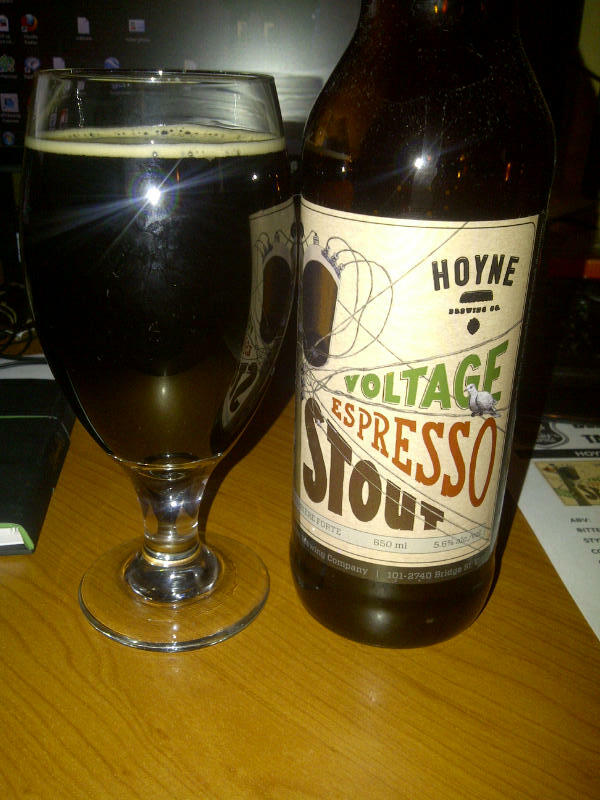 From Victoria BC’s Hoyne Brewing comes the “Voltage Espresso Stout” made with espresso from Habit Coffee in Victoria (http://habitcoffee.com/). This brew pours a deep black with a tan head. The aroma of this beer is of roasted malts, espresso and some chocolate. The flavour of the beer is of roasted malts, chocolate, smoke and a huge espresso hit with a good bitterness. This stout has a nice balance between sweetness and bitterness. The alcohol content of the stout is 5.6%. If you are not careful this beer will become Habit forming! Food Pairing according to O’hare’s Beer Club notes are as follows: Brunch, waffles with ice cream & chocolate sauce. 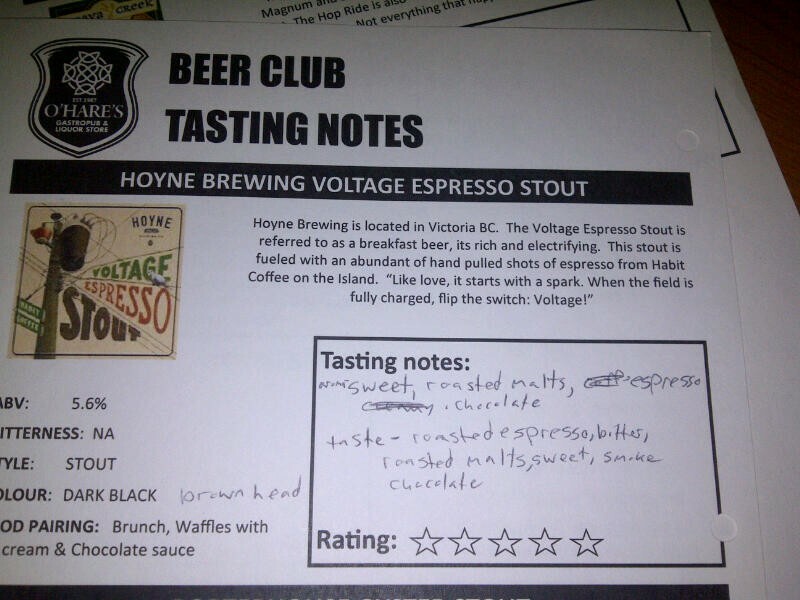 This entry was posted in Stout and tagged bc, beer club, canada, chocolate, espresso, hops, Hoyne, malt, malts, malty, roasted malts, smoke, stout, victoria.